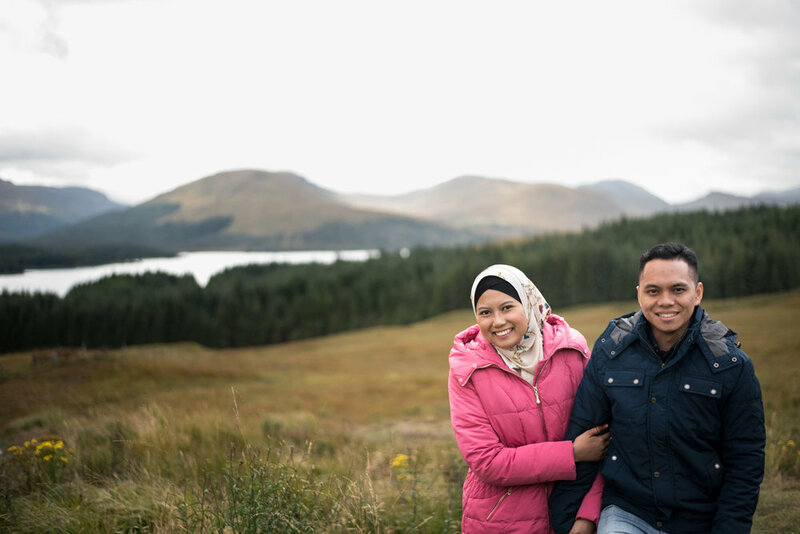 When Zuhri contacted me about a couple photo shoot in the Scottish highlands I was very excited. 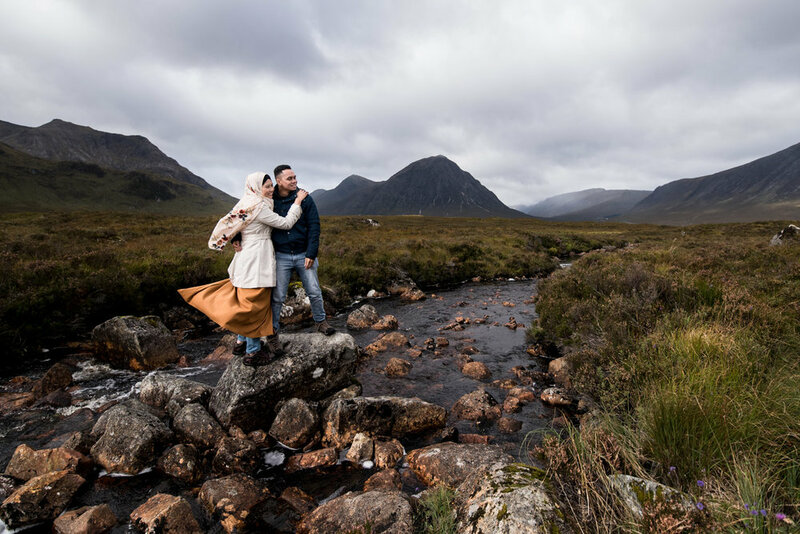 He and Nisah were travelling to Scotland on honeymoon and wanted to experience the beauty of the highlands. We listened to Amy MacDonald singing Caledonia as we drove across Scotland and northwards, up towards the highlands. 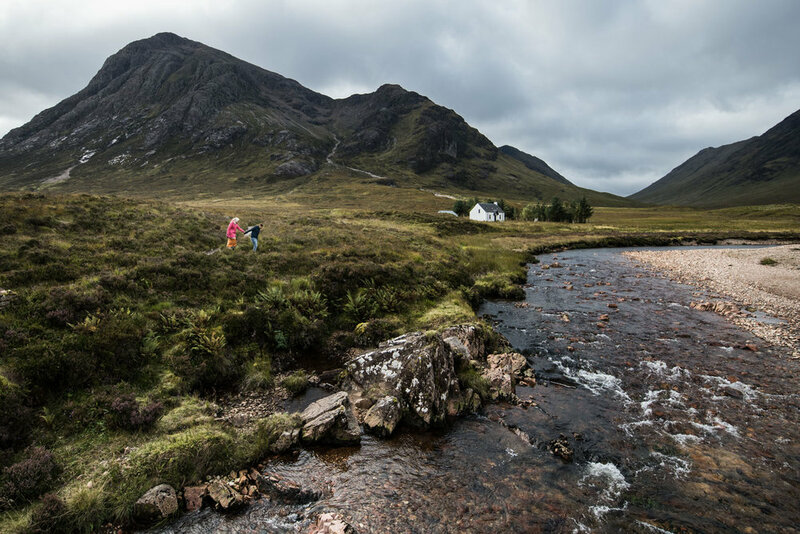 As the hills got steeper and larger we knew we were approaching the ultimate magnificence of Glen Coe. En-route we stopped at Loch Lubnaig and took in it's still sheltered beauty. As we drove we chatted about Singapore and Scotland. 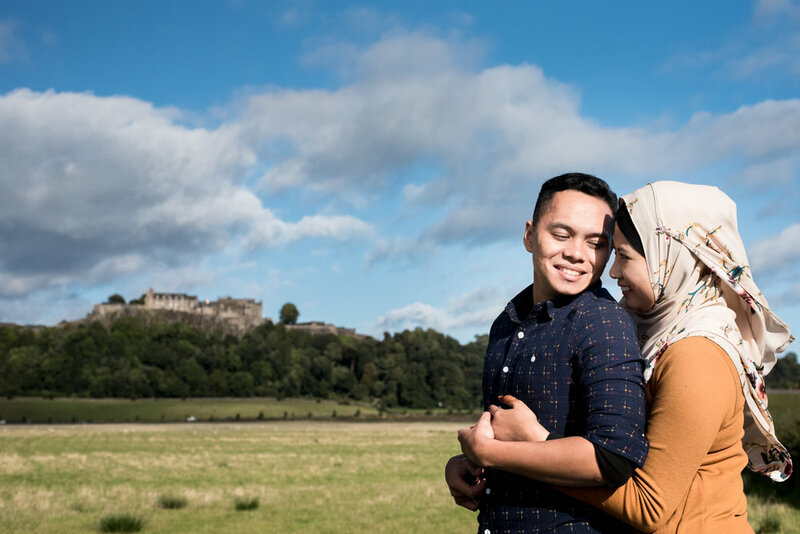 Discussing the lack of lizards in Scotland, I appreciated the safety of our landscape as they asked about whether there were crocodiles in the water and loved our ducks and seaguls. 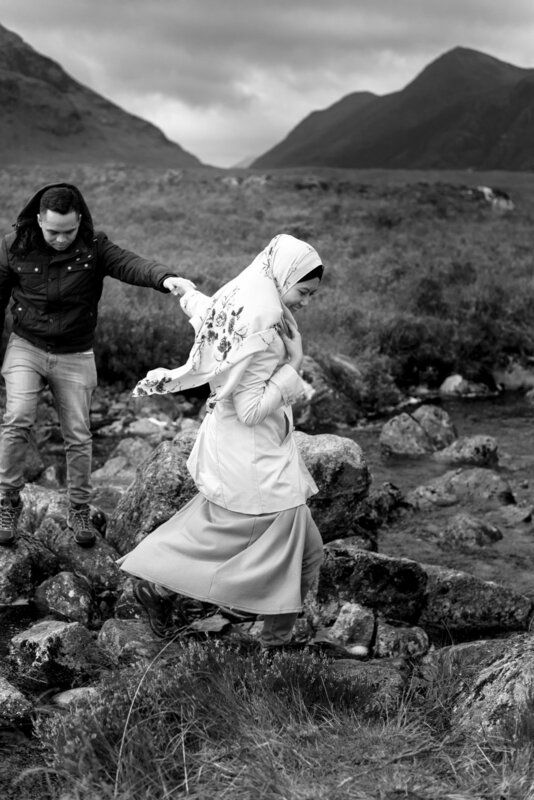 I loved to hear about their wedding and the differences between our cultures. As we traveled back towards Edinburgh we stopped at Luss on Loch Lomond, then Stirling and finally South Queensferry. 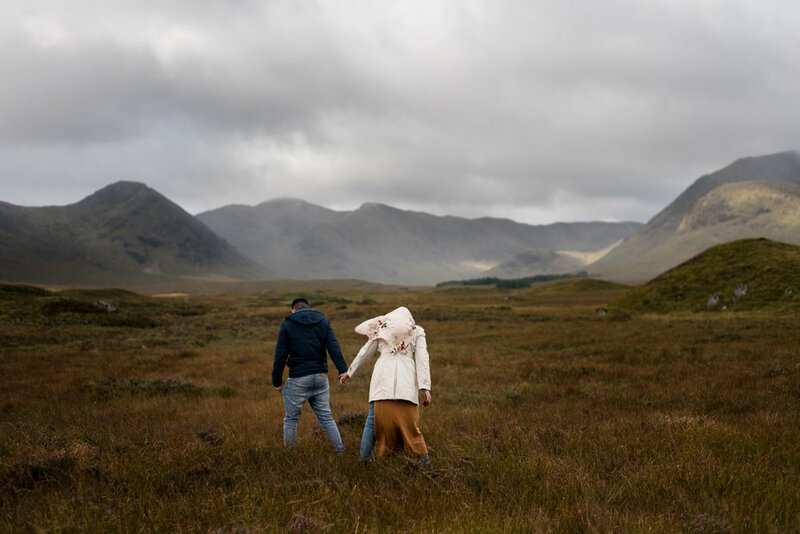 As a Scottish portrait photographer it is such a great thing to capture people enjoying our stunning landscapes. Not only did I get to do this but I got to make new friends as-well.